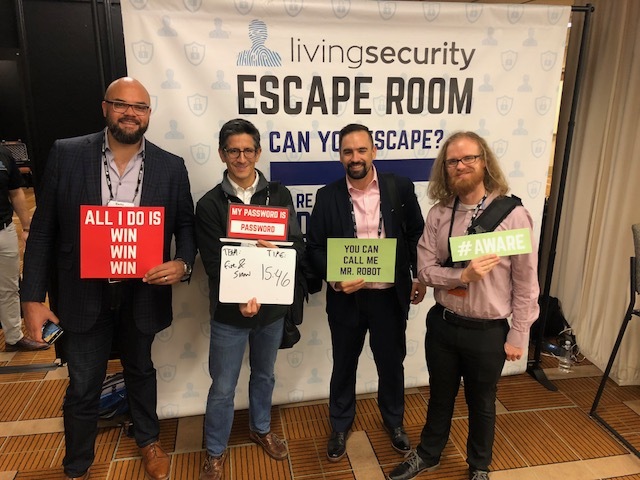 Living Security attended the FS-ISAC (Financial Services-Information Sharing and Analysis Center) Fall Summit in Chicago and gave attendees the opportunity to experience the Elite School Escape Room, sponsored by Contrast Security. The room was a great hit at the conference! For the room design, we partnered with Contrast.io, integrating their vulnerability management platform into the room for added security and an increased difficulty for participants. The FS-ISAC Fall Summit brings together industry and security leaders to collaborate on critical security threats facing the global financial services sector. 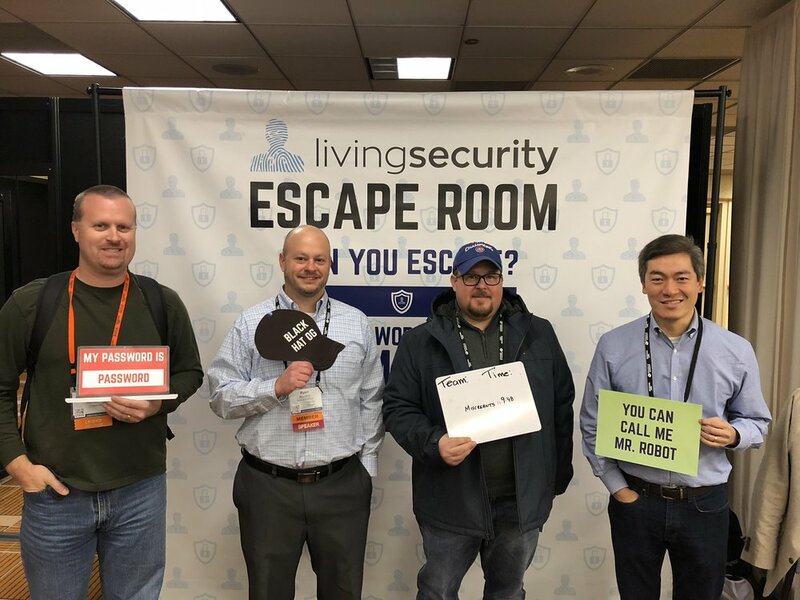 Living Security provided a fun, challenging platform for companies to test out their employee’s knowledge of security practices and take the first step in strengthening their security culture. Many teams participated but only one team was the victor! 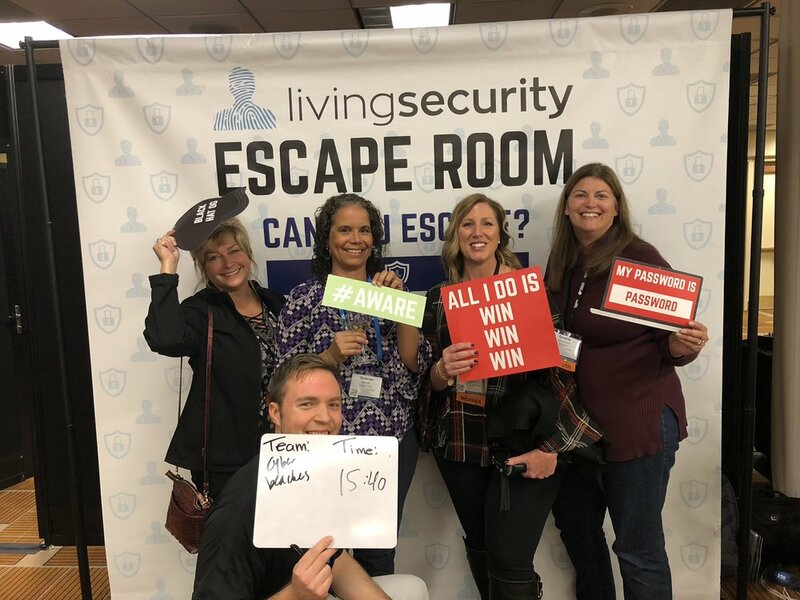 Team Miscreants, from Bank of America, secured the winning spot with a crushing solve time of 9 minutes and 48 seconds! 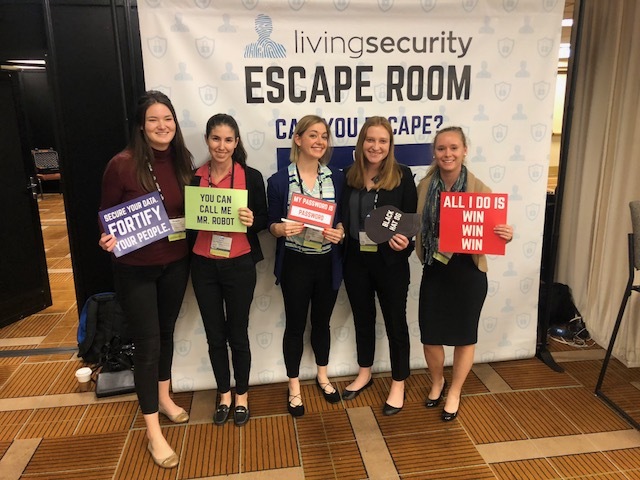 An honorable mention goes to the Fantastic 5, an all-female team of cyber security college students with scholarships from various universities across the country. Fantastic 5 completed the room in 13 minutes and 19 seconds.